Bharat Sanchar Nigam Limited (BSNL), India’s largest integrated telecom service provider today announced three Special Tariff Plans under Mobile, Data Card and BlackBerry Services for Income Tax Department. With Normal Voice Plan, Employee of IT department will get monthly free talk time of 400 minutes to call on any network across India.The Free Call allowance will be provided free of cost or without any monthly charges however The lump-sum plan charges will be paid by Department of Income Tax to BSNL. 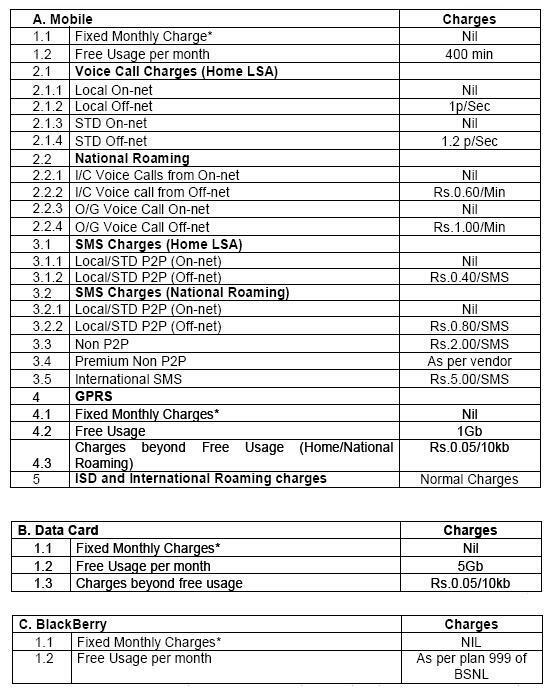 Other than that Calling charges at 1 Paisa/sec on BSNL/MTNL numbers; and 1.2p/Sec for other networks be it mobile or landline. While on 3G Data Card, Monthly Free usages will be up to 5 GB and in case of BlackBerry Smartphone, BSNL Unlimited BlacKBerry Plan-999 will be provided without any monthly charges. After the launch of Special Tariff Plans for Paramilitary, this is the 2nd announcement under its enterprise segment.The operator is bullish on its enterprise segment has set a target of Rs.3202 crore from it for the current financial year. 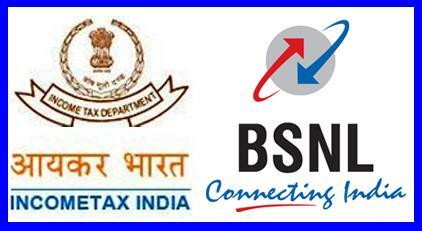 I am the ITO(HQ) the Chief commissioner of Income Tax, and it is not clear that whether land line connection in my chamber can be connected with broad band connection of bsnl. I am a subscriber of the TARANG PLAN. Now I wish to change my residential address in the BSNL database, where I can get my monthly bill. What should I do ?